CLASSIFICATION: Moshui: The Books of Stone and Water trilogy is a character-driven, Asian-influenced fantasy in the vein of Daniel Abraham’s The Long Price Quartet and Lian Hearn’s Tales of the Otori, while also containing elements of Kate Elliott’s Crossroads series and the Psalms of Isaak by Ken Scholes. FORMAT/INFO: Hidden Cities is 432 pages long divided over six titled parts with each part divided into numbered chapters. Narration is in the third-person via several POVs including the slave-boy Han, the fishergirl-turned-emperor’s mistress Mei Feng, Mei Feng’s grandfather Old Yen, the young jade miner Yu Shan, an imperial messenger named Chung, the doctor’s daughter Tien, the bandit woman Jiao, the mother Ma Lin, the rebel leader Tunghai Wang, the imperial general Ping Wen, etc. 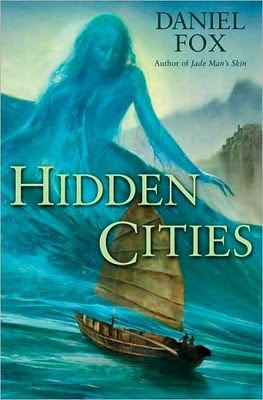 March 22, 2011 marks the North American Trade Paperback publication of Hidden Cities via Del Rey. ANALYSIS: Hidden Cities is the concluding volume in the Moshui: The Books of Stone and Water trilogy after Dragon In Chains and Jade Man’s Skin. Like its predecessors, Hidden Cities is highlighted by Daniel Fox’s elegant prose and a strong cast of characters. I’ve already gushed in length about the lyrical prose in my reviews of Dragon In Chains and Jade Man’s Skin, but it bears repeating, especially considering how much the prose adds to the reading experience. Honestly, if it wasn’t for Daniel Fox’s poetic writing style, the author’s trilogy would have been just another run-of-the-mill fantasy series, one I probably would have given up on after the first book. Characters meanwhile, remain richly drawn, sympathetic and diverse led by Han, Mei Feng, Jiao, Old Yen and Yu Shan who have all been there from the beginning. Supporting roles include Ma Lin, Tunghai Wang, Tien, Ping Wen, Chung and Shen with each getting a chance to add their mark in the book, while minor characters like the fake doctor Biao, Mei Feng’s friend Dandan, the rebel General Ma and the deckhand boy Pao are given pivotal parts to play in the trilogy’s conclusion. Unfortunately, while the characters are a strength in the novel, there are just too many of them with narratives. Fifteen to be exact compared to the seven that the trilogy started with. In short, there’s just not enough pages to accommodate all of the different viewpoints, and as a result, a number of characters are given the short end of the stick including Yu Shan, Han, Ma Lin, Tien and the dragon. Negatively, world-building is still a weak spot in Hidden Cities. I had hoped the book would finally provide some answers regarding the dragon and the Li-goddess and the Empire, but despite ample opportunities, very little information is offered, somewhat wasting the potential of the trilogy’s Asian-influenced setting. The biggest problem with Hidden Cities though is with the story. After Dragon In Chains and Jade Man’s Skin, I wasn’t surprised by the slow-developing plot or lethargic pacing in Hidden Cities. What surprised me was the novel’s lack of payoff. With any trilogy, I expect the third book to resolve storylines and provide a sense of closure. What Hidden Cities offers instead is cliffhangers and even more unanswered questions than what the trilogy started out with. 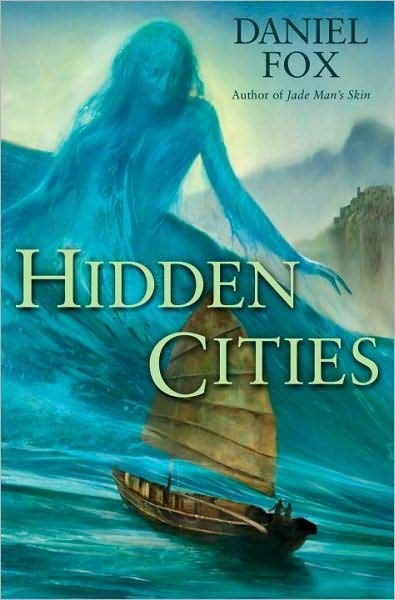 In fact, Hidden Cities felt more like reading a middle volume than the conclusion to a trilogy, which is not what I had signed up for when I started the series.